I started teaching my children as it was required. I slowly realised that I have passion towards it. I realised that I have capacity to teach and started teaching underprivileged according to their needs. Now I am teaching kannada to a girl who just hated it, and now she has started loving it. So I am here to teach kannada. 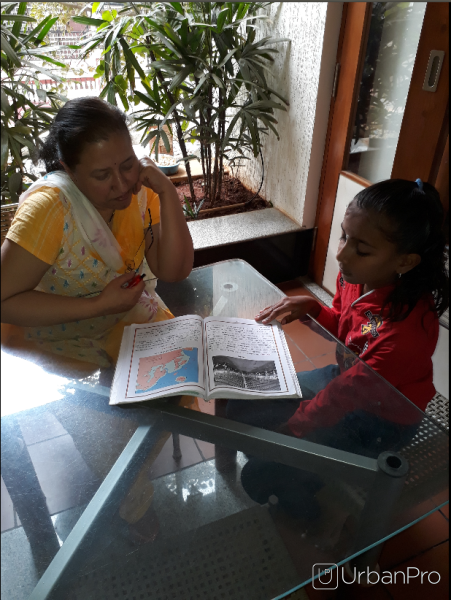 "I found details about Raksha mam in Urbanpro, my son learnt Kannada within short period and he improved, cleared his exams. I am very thankful to her. " "I learnt English from Raksha madam. In a span of 3 months i was able to talk fluently. 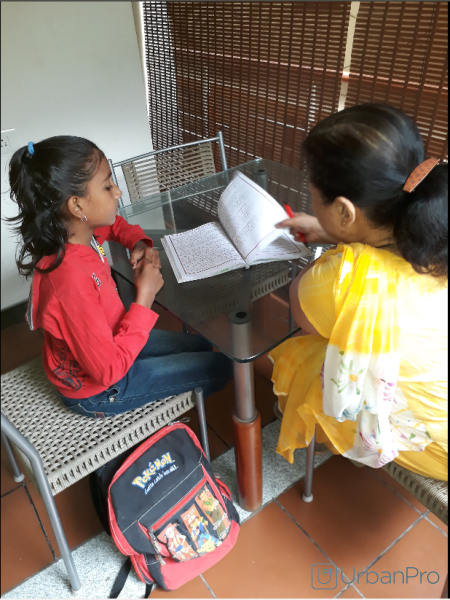 These are her qualities which helped me succeed:: **Very Professional in teaching approach **Best in one to one coaching **Positive attitude **Not Money Minded, she is in the profession to help people **Punctual and good time management "
"I find raksha ma'am really good in teaching Kannada as she helped me in translating well and understanding the lessons. As i was unable to cope up the subject well in classes she helped me a lot. Thank you ma'am. " 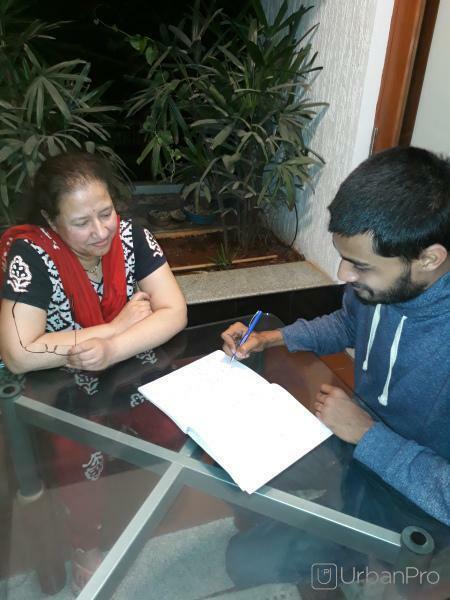 "Raksha Madam No words to mention her dedication to her service provided since we both parents are working and she has given the position what a mother provides to her child. Her teaching has been good & more than teaching the values she shares during coaching is a USP . " What parents see in a good teacher,when they hire home tutor for their child's benefit? I want to learn Kannada as a full proficient language? any help? Yes, you can learn Kannada in about a month and half completely, if you are a serious learner. I will teach you if my location is convenient to you. what is the meaning of a foreign language in India and how to learn them? Any language that is not native to the country is foreign language to that country. 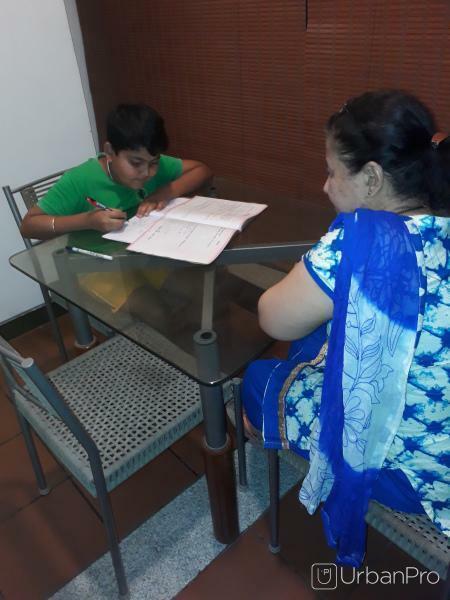 I need a strict teacher for my son how can I get very strict teacher because my son faild 3 times so I am looking a very strict teacher who can able to punish him well and make him to pass exam how I get that much strict teacher? Please build a good rapo with him and try to understand his problems and then take a call. Raksha Kulkarni describes herself as Tution. 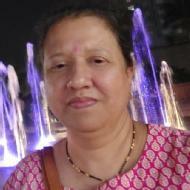 She conducts classes in Class 10 Tuition, Class 11 Tuition and Class 12 Tuition. Raksha is located in Vijayanagar, Bangalore. 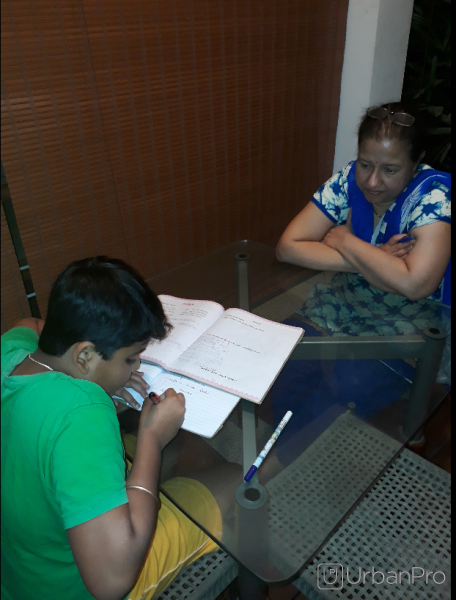 Raksha takes Regular Classes- at her Home. She has 10 years of teaching experience . Raksha has completed Bachelor of Home Science (B.A. - B.Sc. (Home Science)) from Bangalore University in 1985 and Bachelor of Library Science (B.Lib. - B.Lib.Sc.) from Bangalore University in 1986. She is well versed in Kannada, Hindi and English. Raksha has got 14 reviews till now with 100% positive feedback.